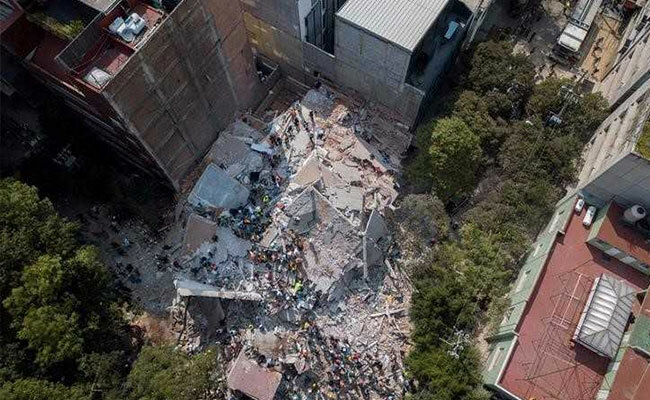 After the first quake the Mexican President was criticized and now immediately following the 2nd quake he came to the scene of this school tragedy. Unfortunately, in the state of Tabasco last week 2 babies died in the hospital due to the power cut. How is possible hospitals in Mexico does have not generator when they are facing problems like this? The victims in Mexico feel worried because they do not see good help from their government. There were dozens of families waiting for any help that the president could give them, but the help arrived two days after. Mexicans citizens are confused how another country which is facing kind of civil war (Venezuela) offered help when their president did not appear. On the another hand, immigrants from Central America showed their solidarity. Forty five immigrants from Guatemala, El Salvador, Honduras who were in a special place waiting to pass the border of Mexico to come to United States decided to help the victims even though they knew police could send them to their homeland. However, victims felt afraid about the help that immigrants could give them because victims thought immigrants could steal but they did not have another option. According to the latest national survey seven out of ten Mexicans feel negative toward immigrants, so Central Americas found a good opportunity to show them the good intentions that they had. Mexicans asked. How president Pena Nieto can sleep when he knows his country was hit by the second strongest earthquake in one hundred years.? How is possible that Pena Nieto show up two days latter in one situation like this? Maybe yesterday’s second quake woke up the government to act- we can only hope. Mexicans and other Citizens from different countries need a president and a government who helps them in times of need like this. If you would like to help the victims of the Mexican earthquakes please click below.